As low as FREE after coupons. 80¢ per item after doubled coupon. As low as $1 per item. As low as $1.50 per item. You may be able to find some good deals. View the complete ad matchup at IHeartPublix! 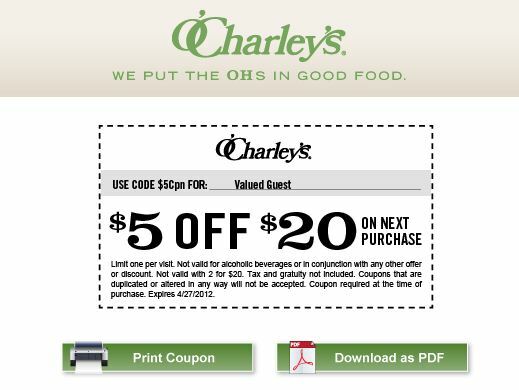 Right now you can score a couple of nice coupons for O’Charley’s. Click here to receive $5 off any $20 purchase, valid through April 27. They also have a coupon good for a FREE mini dessert with food purchase, good tomorrow, April 25th, ONLY. Note that you cannot use both coupons together. DiscountMags is offering a subscription to Marie Claire for just $4.50/year (up to five years) when you use promo code 9819.